Social media marketing is a key element for success in marketing and many marketers realize the potential for business growth using the platform. However, some of these professionals are unsure of which tactics to apply and if they are effective. According to Social Media Examiner, about 96% of marketers are currently participating in social media marketing, but 85% of participants aren’t sure which tools are the best to use. With our help, we will diminish the confusion by thoroughly explaining the advantages of using social media to market your business. Social media is one of the most cost-efficient digital marketing methods used to syndicate content and increase your business’ visibility. Implementing a social media strategy will greatly increase your brand recognition since you will be engaging with a broad audience of consumers. To get started, create social media profiles for your business and begin interacting with others. Get employees, business partners, and sponsors to “like” and “share” your page. Simply having people interact with your content will increase brand awareness and begin building your reputation as a business. Each post that is shared will be introduced to a new network of individuals, which can lead them to becoming potential customers, and the more people who know about your business, the better. By investing only a few hours per week, over 91% of marketers claimed that their social marketing efforts greatly increased their exposure. There is no doubt that by simply having a social media page your brand will benefit, and with regular use it can generate a wide audience for your business. Without marketing your business on social media, your inbound traffic is limited to your usual customers. The people familiar with your brand are likely searching for the same keywords you already rank for. Without utilizing social media as part of your marketing strategy, you’ll have much more difficulty reaching anyone outside of your loyal customer circle. Every social media profile you add to your marketing mix is a gateway to your website, and every piece of content you post is another opportunity to acquire a new customer. Social media is a melting pot of different types of people with varying backgrounds and behaviors. With different people come different needs and different ways of thinking. Syndicating your content on as many platforms as possible allows these individuals to organically reach your business. For instance, perhaps someone in an older demographic of consumers will search for your website using a particular keyword on Facebook, but a millennial could begin their search by using a different social media platform entirely, because they search for products totally differently. By marketing on social media you can effectively open your business to a wider variety of versatile consumers all over the world. Although posting on social media might get your business some site traffic, more effort than that is required to see significant success. Search engine optimization is very important for achieving higher page rankings and obtaining traffic to your business website. While social media doesn’t directly increase search engine rankings, Social Media Examiner states that more than 58% of marketers who have been using social media for one year or longer still see improved search engine rankings. Being able to rank in the top positions for your keywords will revolutionize your traffic and continue to generate positive results for your business. Let’s face it, everyone uses Google to find information, and they likely won’t navigate past page 1 because their answer normally is on the first page of results. If your business website isn’t ranked towards the top of search engine results, you should probably adjust your search engine optimization strategy. To give yourself the best chance of ranking better through social media, create high quality content that integrates your targeted keywords. Content such as blogs, infographics, case studies, business information, and employee photos will make your business’s social media profile intriguing and credible. Once you begin posting quality content, you’ll begin to build a social media community where followers will “like” and “share” your content. Most importantly, it gives you more opportunities to get in front of industry influencers who will write about your business and provide links back – which will help to directly increase search engine rankings. With increased visibility, your business gains more opportunities for conversion. Every blog post, image, video, or comment may lead viewers to your company’s website and increase traffic. Social media marketing allows your business to give a positive impression through a humanization factor. When brands are interactive by sharing content, commenting, and posting statuses on social media, it personifies a brand. People prefer to do business with other people, rather than companies. Over 51% of marketers claimed that taking the time to develop relationships with consumers showed positive results in sales. The better impression you make on a visitor, the more likely they are to think of your business when the need for your product or services arises. Studies have also shown that social media has a 100% higher lead-to-close rate than outbound marketing. When a brand is interactive online, consumers who follow your brand’s accounts often begin to more completely trust the credibility of your business. People use social media platforms to stay connected to their friends, family, and communities. Since people are already talking, why not throw your brand into the mix? More likely than not, they’ll mention your brand to a friend when your products or services are needed, overall providing your business with social proof of its quality. As reported by Social Media Examiner, about 66% of marketers saw lead generation benefits by using social media platforms at least 6 hours per week. Putting your brand in an atmosphere where people are sharing, liking, and talking, can only improve the conversion rates on your existing traffic. One of the main goals of almost all businesses is developing a loyal customer base. Considering that customer satisfaction and brand loyalty typically go hand in hand, it is important to regularly engage with consumers and begin developing a bond with them. Social media is not just limited to introducing your brand’s products and promotional campaigns. Customers see these platforms as a service channel where they can communicate directly with the business. The millennial generation is known for being the most brand loyal customers of all. Born between the early 1980’s and the early 2000’s, millennials are the largest generation in US history — and will soon completely consume the market. Studies show that this segment of customers is 62% more loyal to brands that directly engage with them on social media. 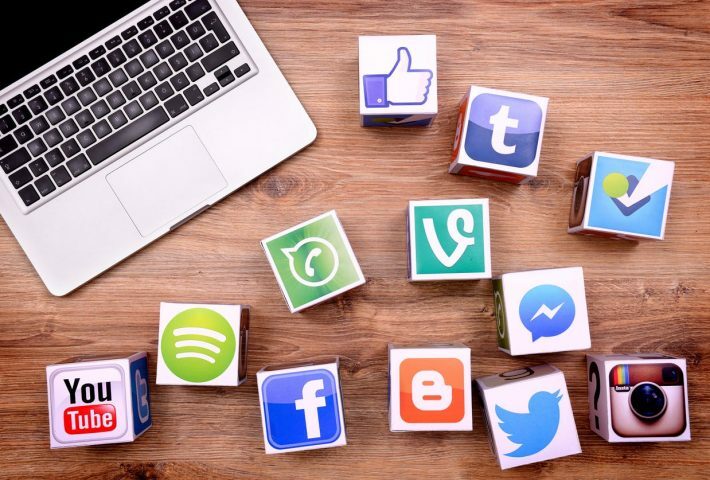 Since these technology natives require communication with their brands, businesses must implement social media marketing to get the attention of their most influential consumers. Social media marketing is possibly the most cost-efficient part of an advertising strategy. Signing up and creating a profile is free for almost all social networking platforms, and any paid promotions you decide to invest in are a relatively low cost compared to other marketing tactics. Being cost-effective is such an advantage because you can see a greater return on investment and retain a bigger budget for other marketing and business expenses. If you decide to use paid advertising on social media, always start small to see what you should expect. As you become more comfortable, fine tune your strategy and try increasing your budget. Just by spending a small amount of time and money you can significantly increase your conversion rates and eventually get return on investment on the money you initially invested. One of the most valuable advantages of social media is marketplace insight. What better way to know the thoughts and needs of your consumers than by directly talking to them? By monitoring the activity on your profiles,, you can see customer’ interests and opinions that you might not otherwise be aware of if your business didn’t have a social media presence. Using social media as a complementary research tool can help gain information that will aid you in understanding your industry. Once you gain a large following, you can use additional tools to analyze the demographics of your consumers. Another insightful aspect of social media marketing is the ability to segment your content syndication lists based on topic, and identify which types of content generate the most impressions. These tools give you the ability to measure conversions based on posts on various social media platforms to find the perfect combination for generating revenue.